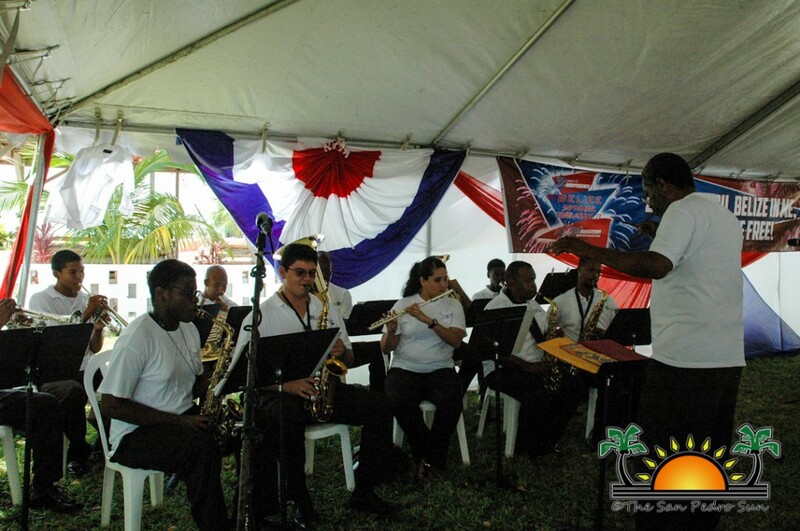 The 2013 September Celebrations were officially launched on Sunday, September 1st. September is a long anticipated month for most Belizeans, since it marks the anniversary of two very special dates in Belizean history, The Battle of St. George’s Caye and Independence Day. 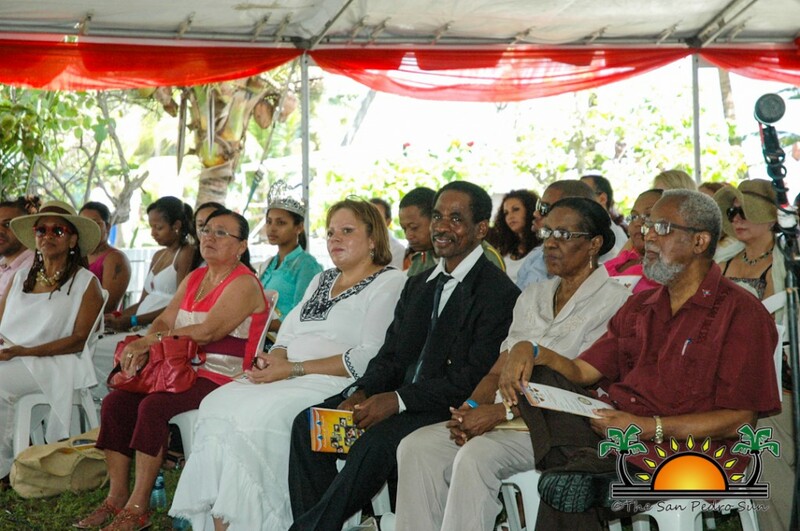 The first ceremony of the month is held at the National Site and first capital of the St. George’s Caye. It is a ceremony celebrating patriotism and the rich culture of Belize. Invited guests included the Governor General His Excellency Sir Colville Young, Minister of Tourism and Culture Manuel Heredia Jr., Mayor of Belize City Darrell Bradley, Mayor of San Pedro Town Daniel Guerrero, Chairman of St. George's Caye John Searle Junior, Queen of the Bay 2012-2013Yadira Argueta, Queen of the Bay 2013-2014Jahrine Avila, and other invited guests. 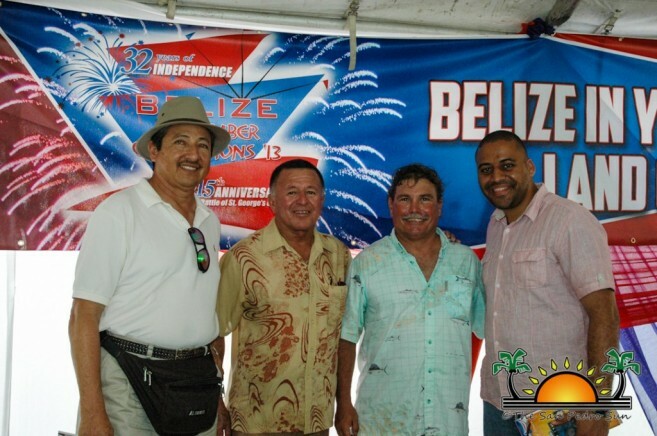 This year’s celebration is being held under the theme “Belize in you, Belize in me, Land of the Free” and marks the 32nd year of independence from Great Britain. 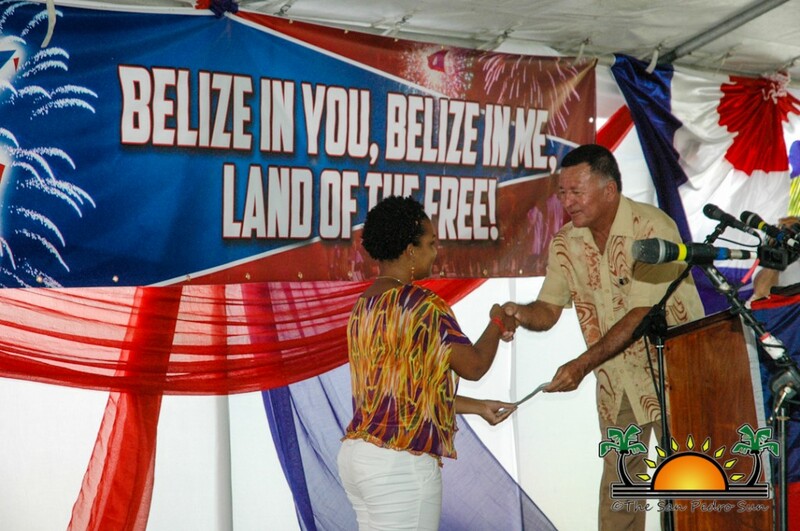 Belize is also its celebrating 215th anniversary since the epic Battle of St. George’s Caye, in which all claims by Spanish rule were expelled when the Baymen defeated the Spanish Armada. 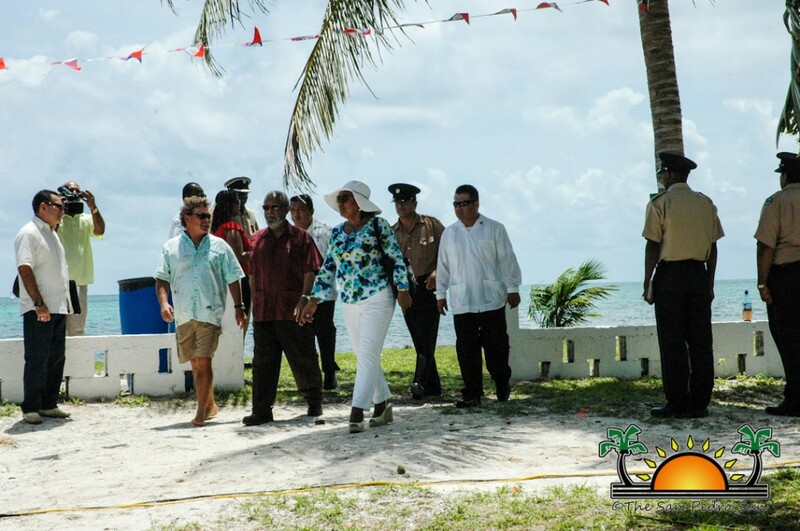 The opening ceremonies commenced at 11AM with the welcoming of the dignitaries as they made their way to the St. Georges Caye cemetery, which was declared an Archeological Site in 2012 by NICH. 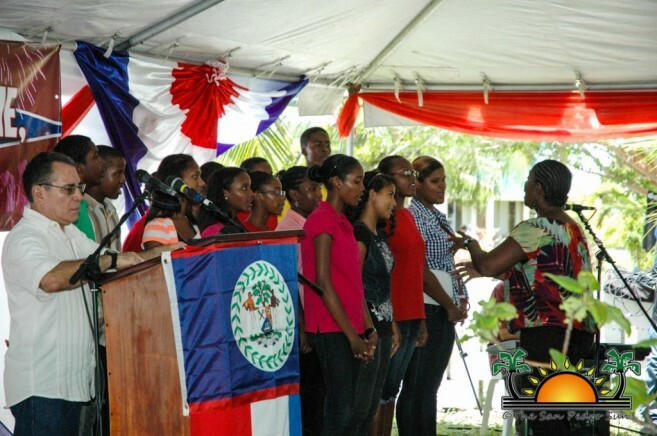 After the national anthem was performed by the National Youth Orchestra and Choir of Belize directed by Colville Young Junior, Pastor Ernest Betson of the Presbyterian Church leaded the crowd in a heartfelt invocation of thanks for the prosperity of Belize. Welcoming everyone was Chairman of St. Georges Caye John Searle Junior. 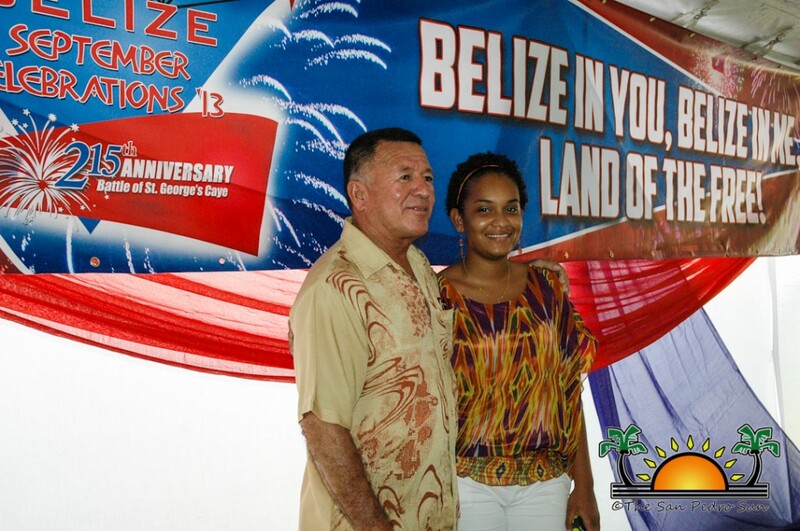 Searle talked a little about the history of the small island and the importance it has had in the history of Belize. 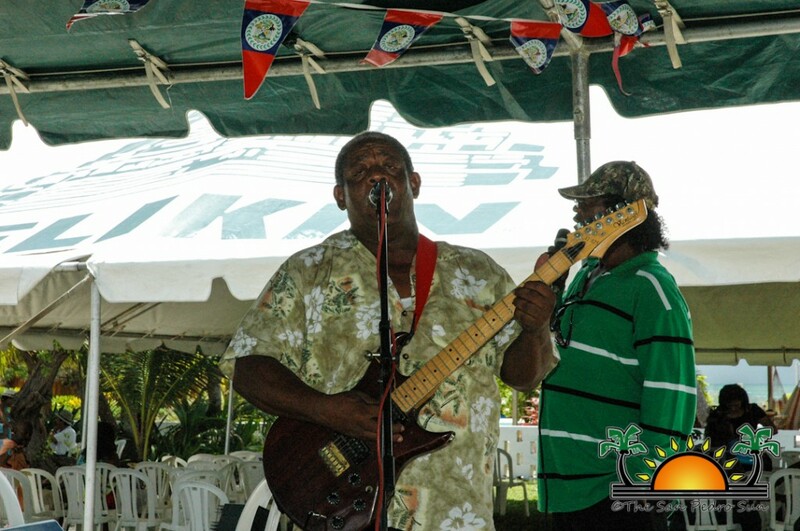 He also spoke about the original name of St. Georges Caye, “Cayo Cosina”. 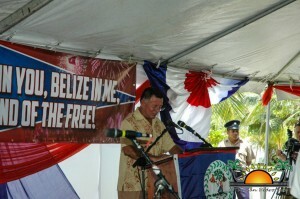 He also explained the necessity there is for Belizeans to express patriotism not only in September but all year round. 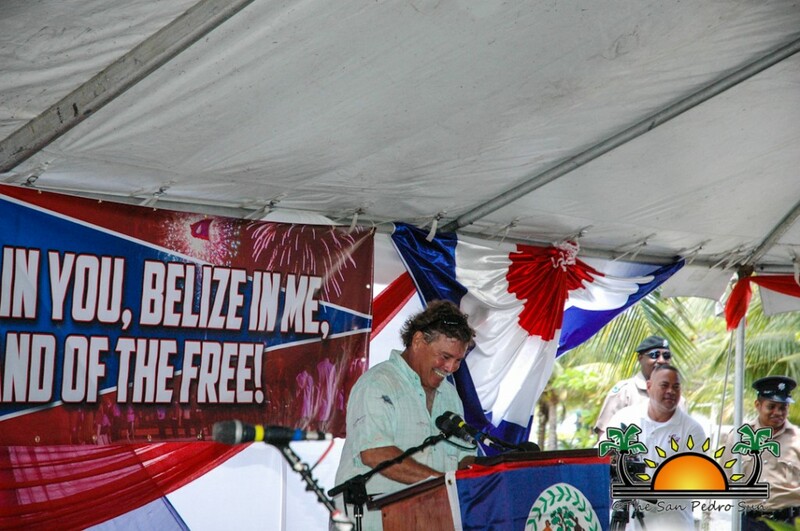 “We need to see beyond the celebration and look within us to be proud Belizeans. Let’s respect our land so that we can truly call it Land of the Free. 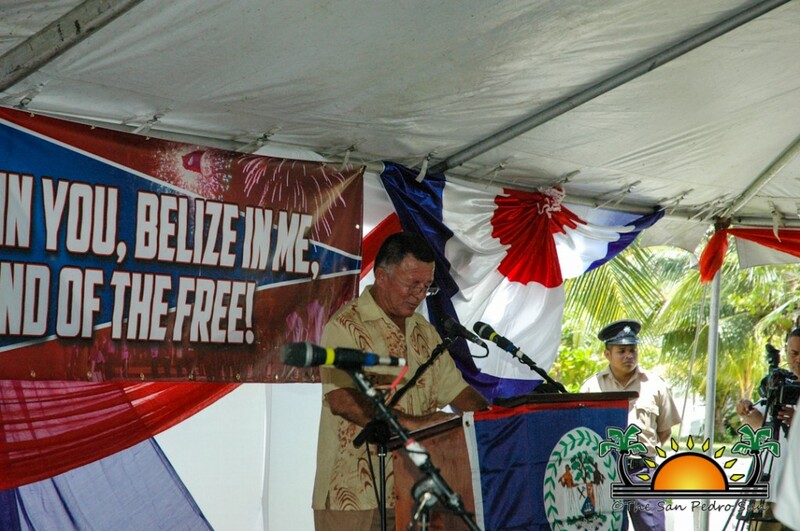 The Battle of St. Georges Caye is only an example of what united Belizeans can do, “said Searle. 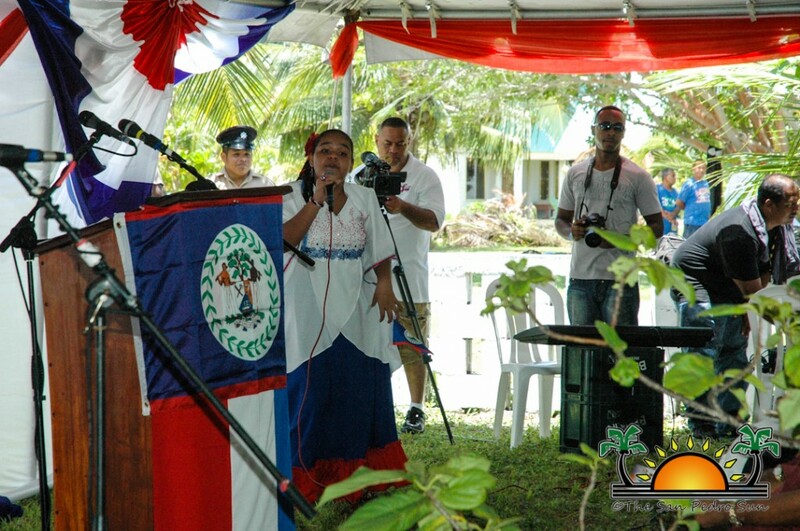 Minister Heredia spoke about the importance of being patriotic citizens. He explained how the diversity of cultures unites to make one Belize. 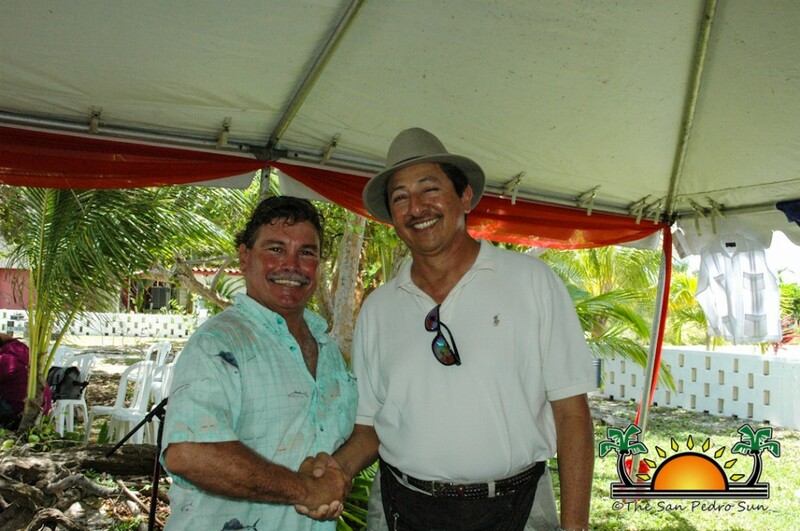 He discussed the rich history that lies within the grounds and the waters of St. George’s Caye, and the need to protect it for future generations. He concluded his speech thanking everyone for joining in the celebrations. “Together in unity, culture and heritage we will celebrate Belize,” ended Heredia. After the speeches came the entertainment. The All Saints Praise Singers showed their patriotism by singing no other than “Tribute to the Baymen”, by Jesus Chuchin Acosta. 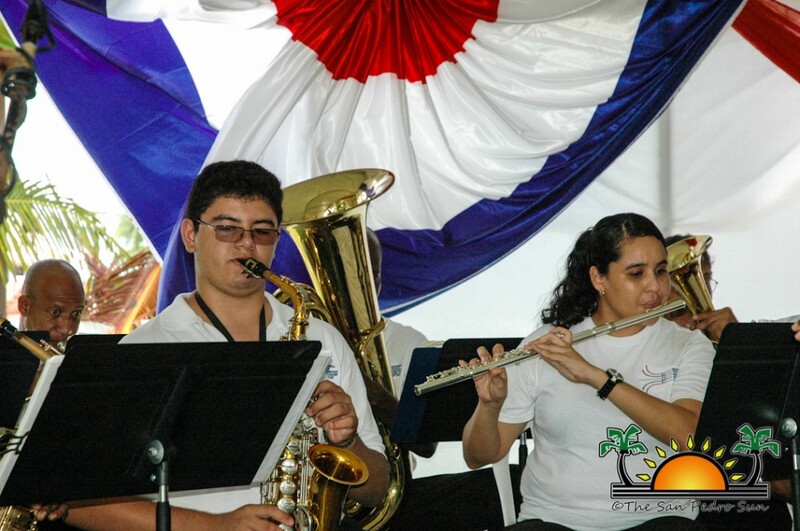 The song commemorates the Battle of St. George's Caye. They also performed a song composed by Governor General Sir Colville Young himself. Other entertainment included the live performance of the National Song Competition Junior winner Jael August. 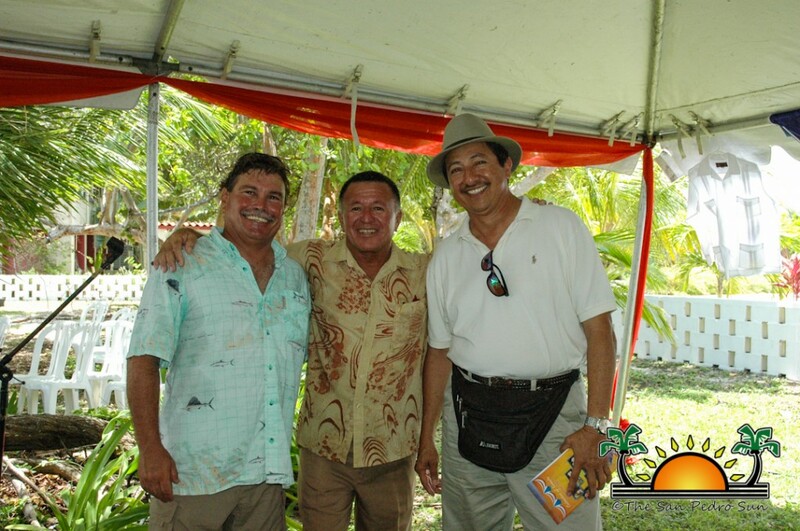 With the celebrations officially launched visitors were invited to enjoy St. George’s Caye and the Battle Sailing Regatta.